Boat #21 found in Black Cart Water! 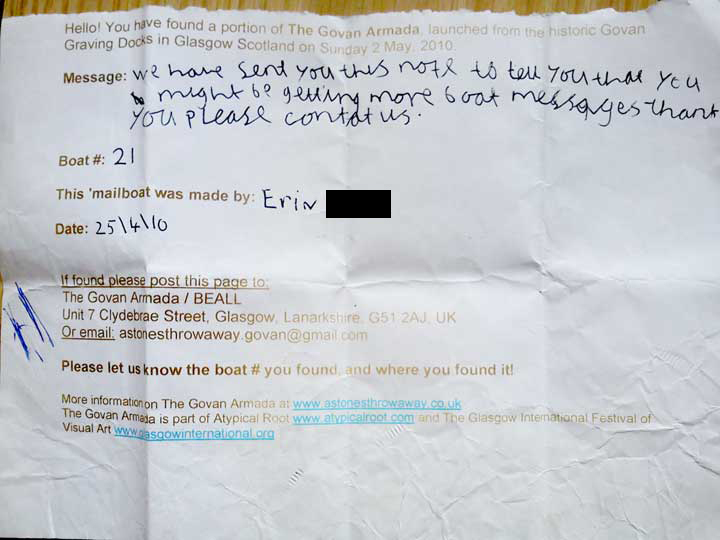 Its boat #21 it was made by Erin Burke DATE 25/04/10.Yours sincerely Steven"
Thanks Steven - We sincerely hope you caught (another) big one. See where this bottle, and all the other boats and bottles that have been found so far, on our Google map. Joe wrote us a quick note to let us know that boat #50 was on Irvine beach on 1st Aug 2010. 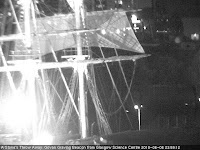 This is the second member of the Armada to be found in the area. Bottle #34 was found further south on the 5th of May. Thanks for the news Joe! 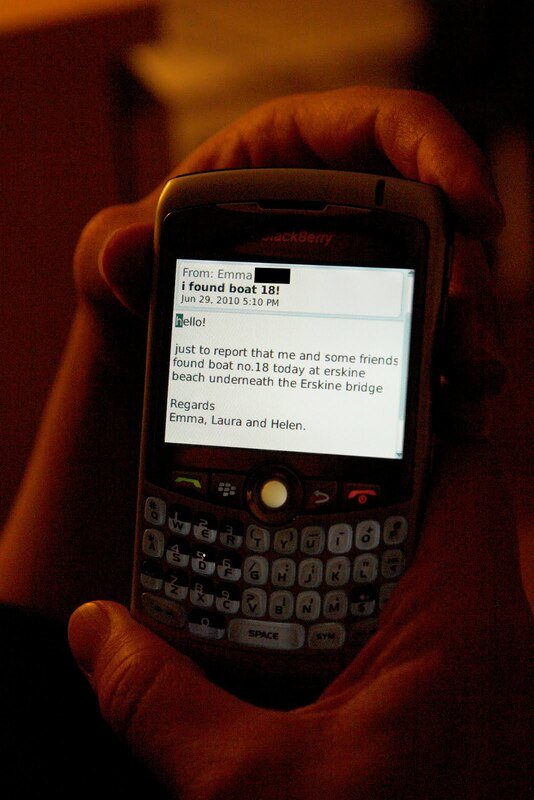 See were this boat, and all the other boats and bottles that have been found so far on our Google map. 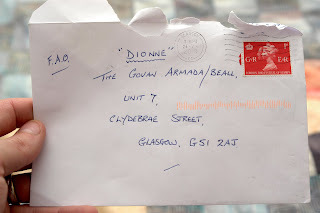 So boat #17 was discovered by the crew of the Dredger Norma, on the 7th of July, as they went about their work at the mouth of the River Cart, between Renfrew and Erskine. Today (Friday) whilst we were dredging off the entrance to the River Cart, we recovered boat No 17 gracefully making her way back to her home port of Govan we presume? 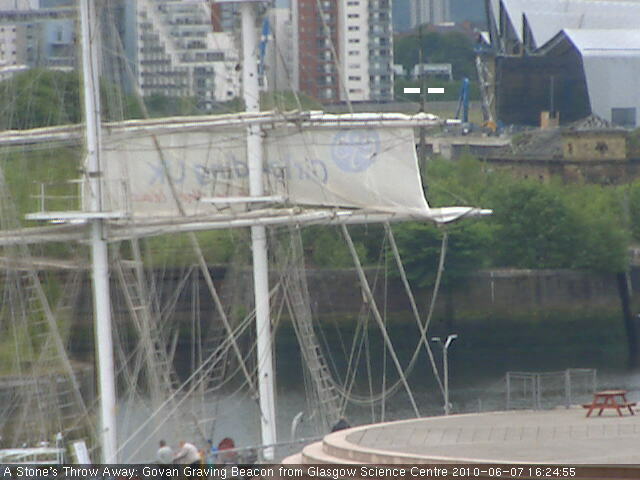 The actual time was 11.30am, so we believe that she probably had quite an adventure sailing up and down the Clyde, as the wind and tide would allow. She was brought onboard without any fuss, and sits majestically on our deck, looking very pleased with herself after more than 8 weeks at "sea". We look forward to hearing if any of the other vessels, remained "underway" for so long. Dave, Kev, and Den, Crew of the Dredger Norma." Thats an impressive amount of time to be at 'sea'! And yes, this is the longest so far -- although every time we think "surely this must be the last" another boat or bottle crops up! We'll have to wait and see. Thanks to everyone on the Dredger Norma for taking the moment to both take her aboard and sharing the news with us – Cheers! See were this boat, and all the boats and bottles that have been found our google map. 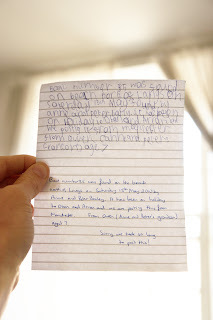 Boats 15 & 18 Found! Well this post comes a bit late, but life and the Home Office eclipsed most everything else until recently. Those hurdles overcome we're thrilled to get back to the important suff. 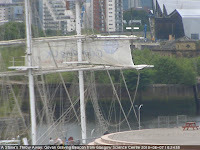 The 25th of June had been a trying day - but in the end, not one but two emails came in, announcing the discovery of boats 15 and 18, in completely different areas! 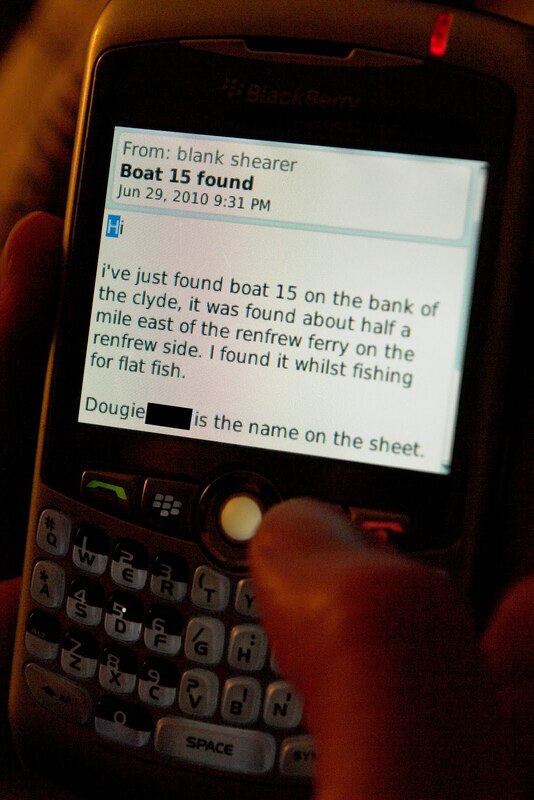 Boat #15 was found east of the Renfrew Ferry by a fisherman, while boat #18 was found on the beach under the Erskine Bridge. 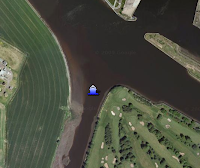 Plot all the boats and bottles as they are found on our google map. 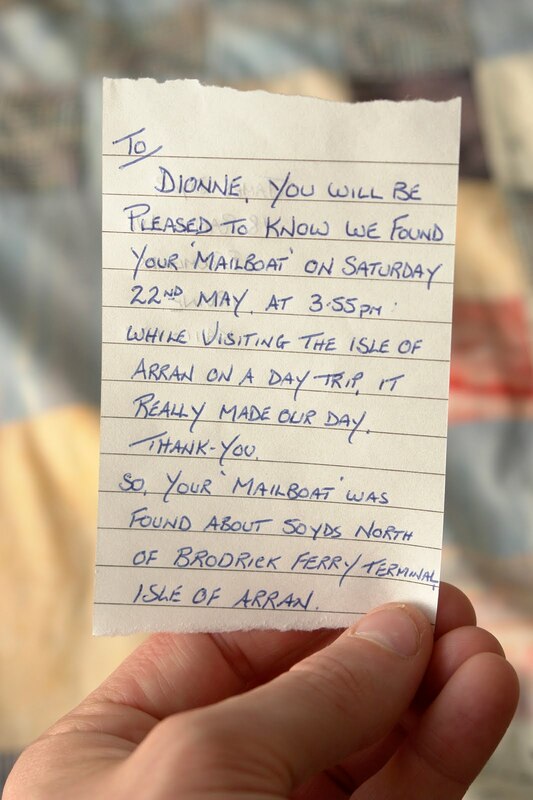 Dione's bottle was found by James Dyer on the 22nd of May at 3:55pm, just North of the Brodick Ferry Terminal, Isle of Arran. 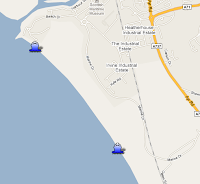 Plot the recovery of all the boats and bottles on our google map.